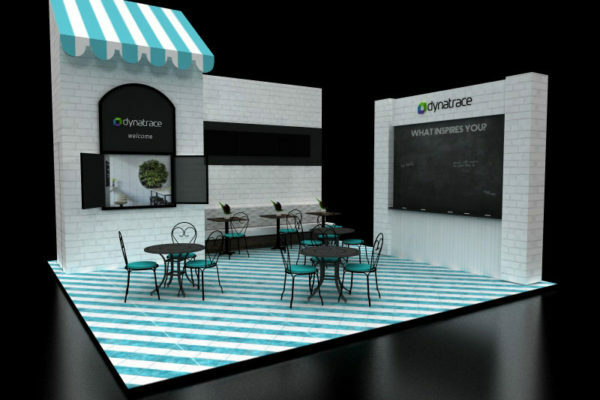 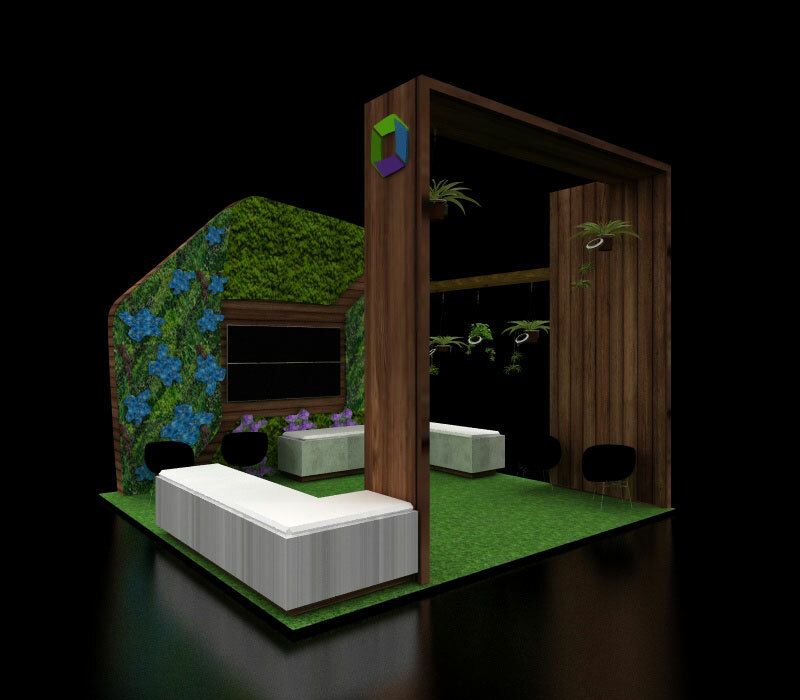 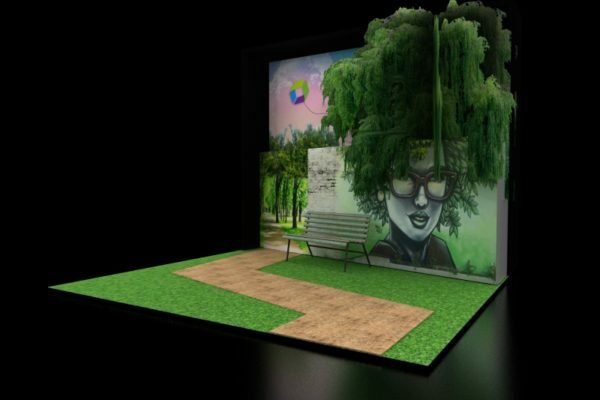 This garden oasis creates an open layout for your clients to interact with your sales team in a calm exhibit space. 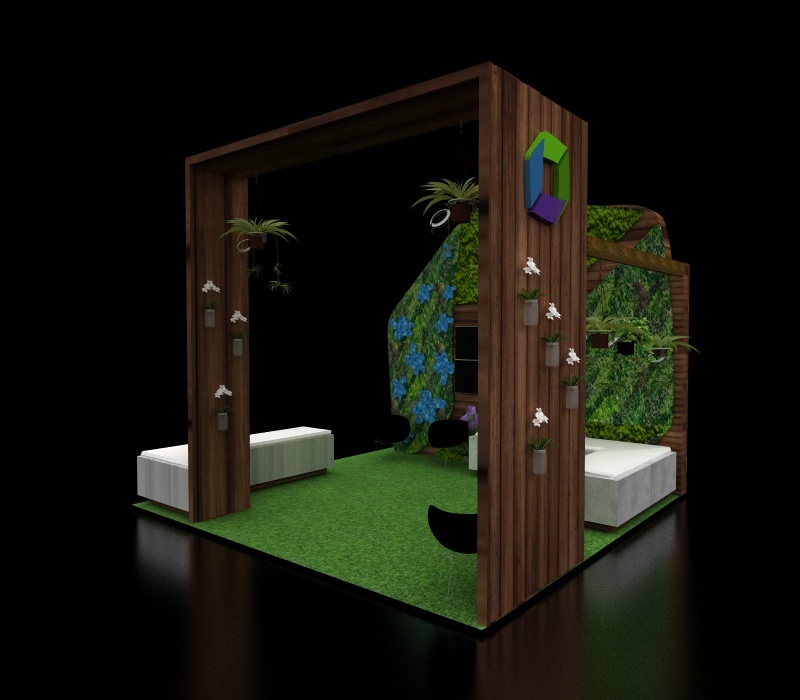 The wooden archway is ideal for branding and signage so that your audience can easily spot you on the trade show floor. 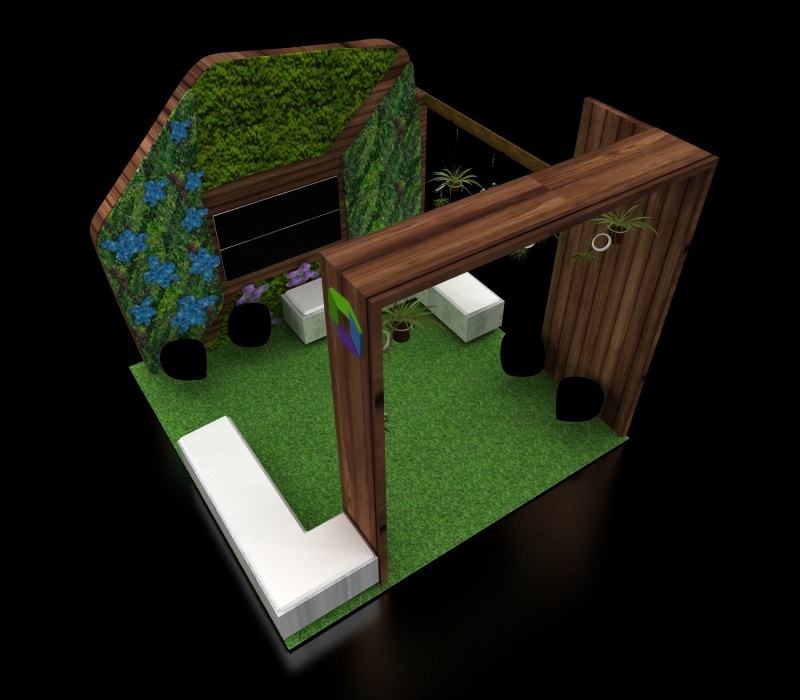 The structure is made of wood and a faux green wall. 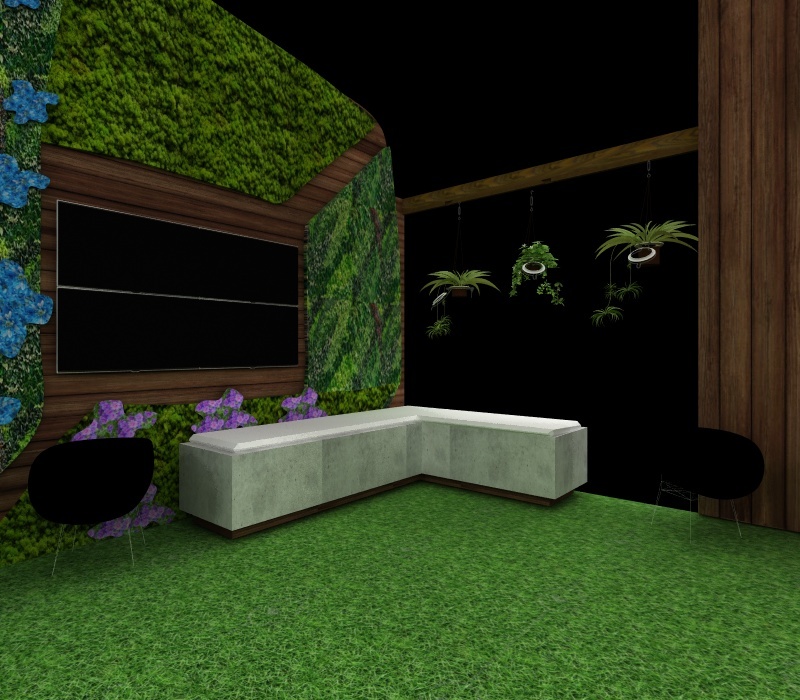 The booth also incorporates lounge seating, hanging planters, turf flooring, and TV monitors. 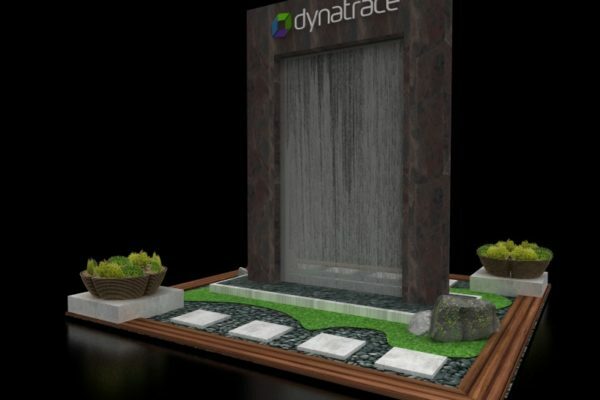 This custom garden environment provides a great meeting space for your clients and a useful video presentation area.